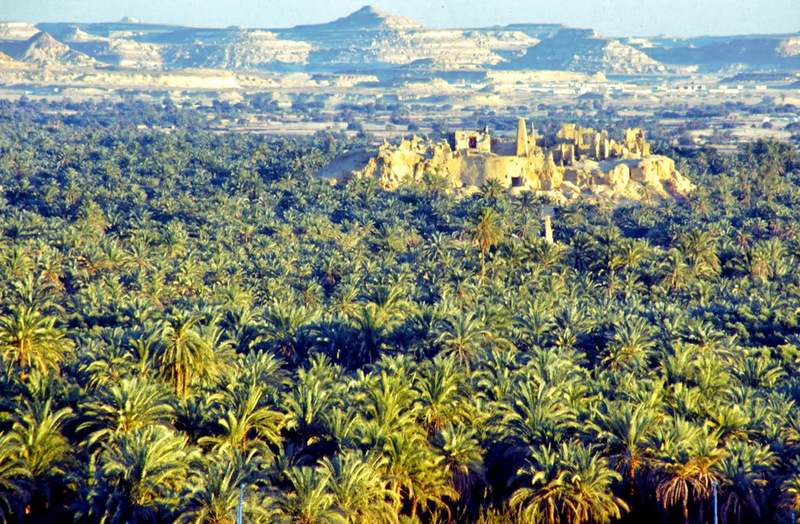 Siwa oasis Ringed by salt lakes, dunes and desert escarpment, Siwa is a haven of date plantations and olive groves. It has a distinctive Berber culture, preserved due to its relative isolation – an asphalt road to the coast was only constructed in the 1980s. at its core, there’s plenty to potter round while relaxing into the rhythm of life in the slow lane. Women need to be careful if wandering alone in plantations or bathing in springs. Several assaults have been reported. North of the main square, El Negma Internet Centre (460 0761; per hr E£10; 9am-midnight) is near the shali. Banque du Caire (8.30am-2pm & 5-8pm) has an ATM and there’s also a post office and helpful tourist office (9am-5pm Sat-Thu). include springs where you can swim, the remains of the Temple of the Oracle, where Alexander came to confirm his divinity, and some Graeco-Roman tombs. At the edge of town are the towering dunes of the Great Sand Sea. There are innumerable safari companies in Siwa, most of which charge around E£100 to visit the Great Sand Sea and E£120 for an overnight camping trip to White Mountain and Lubbaq Oasis. You can hire sand boards at the Nour el-Wahaa Restaurant. The best buy in town are locally grown dates and olives. The people living in Siwa speak a different language other than the Arabic, or the Egyptian Arabic accent this is because the people in Siwa belong to the Berbers who are the original peoples of North Africa west of the Nile Valley. They are largely distributed from the Atlantic Ocean to the Siwa oasis, and from the Mediterranean to the Niger River. The people who live in Siwa speak the Siwian language which is one of the variations of the Berbers language. Furthermore, some of the inhabitants belong to the Toucouleurs (or Haalpulaar’en) who is agricultural tribes who live primarily in West Africa and have affected the culture of Siwa tremendously since ancient times. the oasis has always been linked to the culture of the tribes who live in the Great Desert in the North West of Africa. The Siwa Oasis, along with the other oasis of Egypt and North Africa had formed a center for camel convoys that used to travel between Morocco and the Nile Valley. Siwa was also influenced by the Senousi culture, until Mohamed Ali took control over Egypt and sent his army troops to regain the Egyptian authority over Siwa once again. 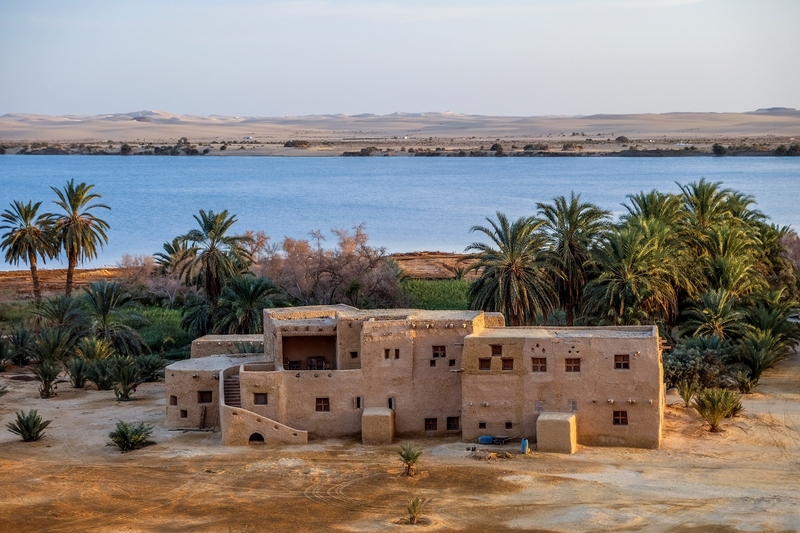 The inhabitants of Siwa still adhere to their old conservative habits and customs. The women of Siwa rarely go out of their homes and if they do they have to cover their faces with the famous traditional Siwa veil which covers the whole face of the woman only with a small opening at the end for their eyes. Moreover, only young unmarried ladies who are less than 17 years old are allowed to go out while married women rarely leave their houses. On the other hand, the men in Siwa wear the white Galabeya even the governmental employees have to wear this traditional dress code. that faces the entire oasis in the Great Desert of Africa, Siwa faces a critical water problem. This is due to the large consumption of underground water that increased immensely not giving enough time to these water wells to be renewed. The reason behind this increasing consumption of water in Siwa is the huge investment in the cultivation of land. This is beside the five mineral water factories that operate in Siwa in filling mineral water. Another problem that faces Siwa nowadays is the disposal of wastewater which reached to be more than 47 thousand Acre during the year 2009. This matter threatens the cultivating of dates and olives, the most famous Siwan plantations. All the sectors in Siwa has to participate together in order to solve this problem by either demolishing small random water wells or by disposing the wastewater outside the Siwa.